Google play store is one of the best feature introduced in the Android operating system. It is not only a hub where all genres of Android applications are available but also a core part of Android. If you are already an android user, then you must already know that to use play store you need to log in using your Gmail account. For the purpose of security and many other reasons, it is mandatory to log in play store using permanent Gmail account else you cannot access play store and will not be able to download any app from play store. There are scenarios where you need to sign out of google play store. Since the process does not function like how we sign out of other application, it is a bit different but easy if you want to sign out of google play store. Android is preferred as one of the best operating system chosen by its viewers due to its simplicity and flexibility. 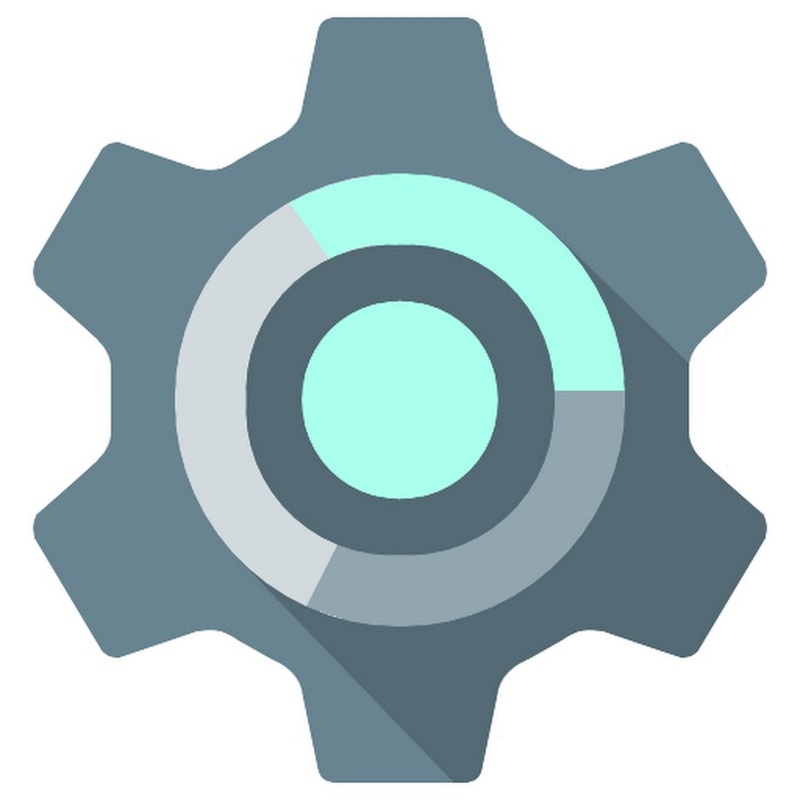 Android automatically synchronizes all the accounts over different Android devices when it comes to google play store. Majorly google play store is used to install application belonging to different genres since it is a hub of different apps. If you want to use any Google app on Android phone, you need to SignIn and this login id will be used in all application in your device. And it will sync all the data including contact from that mail id unless you stop it manually. It is easy to log out from google play store you can do this in two easy ways. First, you can do this by making some changes in your settings of the Android device. Second, you can also use a third party application to log out from google play store. Go to your phone Settings menu. Then in the Accounts option, Go to others Account. This option may vary according to your mobile brand. Now tap on the Google, and it will list all account that is logged in on the device. Tap on the selected Gmail id that you want to remove. When you tap on it, it will ask for confirmation. That is all once you have clicked the option of remove account this account will be removed from your device. Once the account has been deleted, it will log out from all the apps where you have used this account to login. So this was the simplest method to sign out from Google play store by just making some little changes in your device settings. This is the second method that you can follow to sign out of google play store. 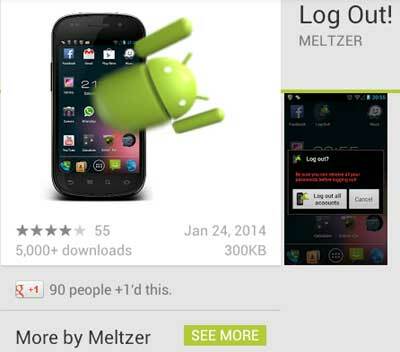 This approach makes use of third party application called “LOG OUT” which makes you log out of your play store. We have listed some simple steps that you need to follow. Go to google play store in your android device. Type LOG OUT in the search bar of Google plays store. Install the application. This is completely free to use. This app is specially made to log out all your account from all the places on your device that have used the account. After tapping on that option, it will log out all your accounts from all the places. It will log out all account, so if you want to remove a particular account then use the first method. There you can choose which Google account you want to remove or log out. 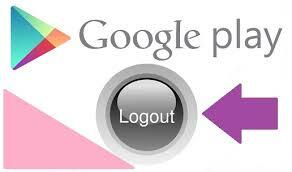 So we have discussed two methods using which you can log out from Google play store on any Android device. You can choose any one of them which seems easy and understandable. In method one, you can directly access your settings and remove your account. Whereas in second method you need to uninstall third party application named LOG OUT which can sign out your account from Google store by tapping at only one option. Komal have been always passionate about technical stuff specially related to computer science and blogging is a great way of gaining knowedge as well as making it awailable for everyone else. Being CEO of Technofizi komal aim to give genuine and peirced knowledge for all the knowledge seekers and also her Team Technofizi have been sorting out some of practical technical problems to give our viewers a great and effecient solution to their problems.